Basically, Venom movie synopsis and official trailer tell the story of Eddie Brock (played by Tom Hardy), a journalist from Daily Bugle who wants to investigate the case of alien symbiote trial to humans. The experiment was conducted by a large company called Life Foundation that tends to take people lives through human-experimenting. The company was led by a multi-millionaire named Carlton Drake (played by Riz Ahmed) who discovered alien form called symbiote. Because of great curiosity, Drake kidnapped several people and made them test subjects. This suspicious activity makes Brock curious and intends to reveal the true story of this activity. Unfortunately, when Brock was busy documenting illegal activities, he was contaminated by one of the black-colored symbiote aliens who eventually turned it into a 3-meter tall monster named Venom. Feeling something was wrong with his body, Brock tried to get rid of him. But apparently, this symbiote has its own way of thinking and decided that Brock would become its permanent host. Without Brock realizing, it turns out that Venom is not the only alien symbiote who managed to mutate with its human host and then comes Riot. Riot is one of the famous alien symbiotes who like to take the power of its host and move when the host no longer benefits him. Facing this threat, Brock was forced to cooperate with Venom to stop the mass destruction plan of Riot. Will they do it successfully? According to Venom movie synopsis and official trailer, this film will be directed by Ruben Fleischer, better known as comedic-zombie apocalypse film Zombieland. Besides Tom Hardy and Riz Ahmed, there are various other names like Jenny Slate, Michelle Williams, and reportedly Woody Harrelson will also join the film. Give the success of Spiderman: Homecoming, Sony was tempted to create a Universe of its own. 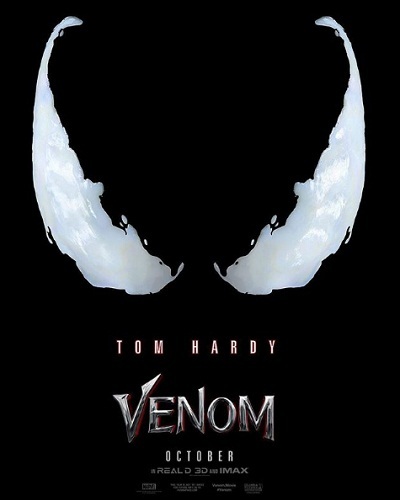 After failing with Amazing Spiderman 1 and 2, Sony took another standpoint by creating its first anti-hero film entitled Venom. Now, many fans feel a little redundancy about how Venom will be without its famously known superhero, Spiderman. Many people knew that Spiderman has been considered a success in MCU ranks. However, Amy Pascal as producer and Kevin Feige as President of Marvel Comics is reportedly undergoing tough negotiations related to the relationship of Venom and Spidey, especially regarding the possibility of crossover Universe. If that happens, Spiderman and Venom fans will be very much delighted.